We exist to propagate the Misery Nito would want us to inflict on the living as well as providing a strong support network for new Gravelords or veteran players who have considered joing but considered the Covenant broken. "The souls of lost humans who swore thier Oaths to Nito, Lord of the Dead, and were granted new bodies comprised of many corpses of the Undead that roam Lordran. 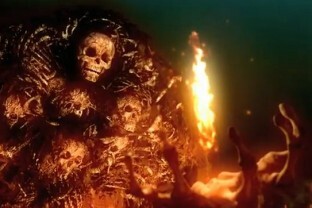 In doing so Nito made his servants immortal and charged them with bringing about the new age he desires. Each Gravesworn is bound to Nito and can channel his malice through the Eyes of Death to spread vast quantities of misery throughout the world. Nito named his most trusted servants Heralds, the harbingers of a form of his ill will toward the living"." Like all Covenanters we play to serve the Great Lord of Death by accruing as many Eyes of Death as we possibly can. For too long we the servants of Nito, inheritors of his glorious powers, have shunned the light of Lordran. We have wandered alone seeking the deaths of our enemies. Now Nito has called to us to forge him an army equal to those of the other Lords. We shall rise from the crypts of our ancestors and march forth! SL 80- The dens of the other Lords! Within the Gravesworn we will have a Ranking System that will allow us to determine our own dedication to the Gravelord Nito, as well as identify veteran Gravelorders who have put a lot of time into this Covenant. Our base of operations it the Catacombs where we have unrestricted access to our lord as well as the home field advantage (not to mention BP Bonewhell Skeletons). Also whe have a Smith close by to us, as such I would like to see some of you perhaps using Fire weapons or even Chaos. Gravelords serve Nito as idividuals and as such we have a variety of skilled individuals and at Nito's command ranging from long dead knights, to socrcerors of unbelivable power, and mighty and faithful clerics. 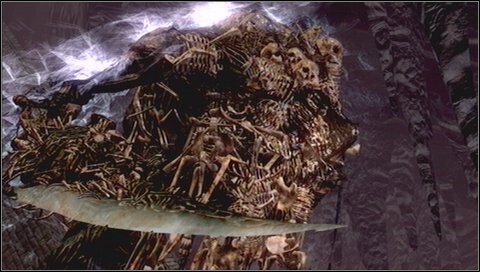 Though a member of this covenant must have access to either the Gravelord Sword or Gravelord Great/Sword Dance. Priscilla, Daughter of Seath the Scaleless, commands a band of extremely dangerous warriors known only as the Lifehunters. These soldiers have allowed us access to her domain on the condition that we do not attempt to slay her. The deal is struck. She will be a powerful ally against Seath and the other Lords. This group of holy warrior have sworn to end the threat of the undead in Lordran and have made several forays into the Catacombs recently. Led by a powerful knight they tread our unholy domains and seek to end the unlife of our Lord Nito in all his many forms. These are our greatest of enemies and must be executed at all costs. Though they are strong they are only undead and will eventuallyy go hollow. We shall endure. Thats it. Get out there and start making your builds for the aforementioned SL ranges. While we will be an organised group there is nothing to stop you from invading and taking out fellow members. We are Currently at war with the Noble Knights User Covenant and have fought with them in the Tomb of the Giants already. It was a narrow defeat and the turn out was less that we had originally hoped for but it was great fun. 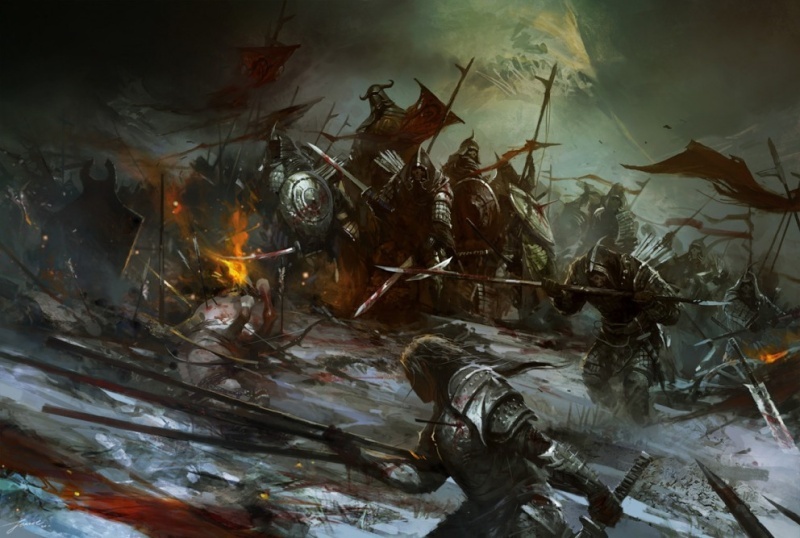 Next the Gravesworn go the the aid of our allies the Lifehunters to prevent the same defeat we suffered at the hands of the Noble Knights. The Last score was 26-25 to the Noble Knights. Curse your name Oscar II! 2nd, June, 12 AM UTC until 12 AM UTC 3rd, June (So players may come and go) - The Gravesworn go to war with the Noble Knights once again to regain their territories and aid our steadfast allies the Lifehunuters. SL - 60-80 - This is the primary range if I am not mistake as the Gravesworn and Noble Knights will primarily operate at this SL range. 120 - This is for all those who have Fight Club Build and want to join in. I know Wyrm will be attending this range, probably Forum too, so the key Lifehunter Leadership will be here. The Scoring System has yet to be decided and I shall update this when I know more. I ENCOURAGE all of the Gravesworn to particiate even those on the XBOX side of the fence. There will be rank up for each player who participates in the Fight Club Rounds in their SL bracket and other rewards for jobs well done. A challenge designed as a test of Gravelording capability for those who wish to participate. - The build you must use has to be SL 20 or lower. - Player can use a variety of weapons obtainable before Anor Londo and can freely upgrade weapons to +10. No elemental weapons are allowed for this event. - Players start with 10 Eyes od Death and must attempt to earn thier way to 30 EoD's. A player is successful if they make it to 20. However at 30 EoD's a player will recieve a rank up from whatever they had before. Ranks will also be given out if I or DxV04 deems a player to be doing well enough during the challenge. I will be in the Parish/ Burg area and will contact participants before dropping a Red Soap Stone for some duels and to see how progress is going. 1. PM myself (Viral Ensign) or DxV04 (These are our forum names) with your PSN ID or GamerTag and we will update this page with your rank and Forum User name. 2. Send a friend request to myself or DxV04 telling us what SL you are (must be one of the aforementioned SLs) and report to the Catacombs to be intiated. 3. You are now one of us. Post on this thread with your stories/ requests and participate in which ever events you can. Ranking up is not only based on your EoD counts and Ranks within the Gravelord Servant Covenant but also by how much effort you put back into this User Covenant. While Nito commands we gather him the Eyes of Death he seeks within the Gravesworn there are roles that need to be filled if we are to spread our influence over the whole of Lordran. In order to attain the rank of Herald of the Gravelord a Gravesworn must serve as a member of the Inner Council. Once they have fulfilled thier role there they are free to be known as Herald. Shayde- The Shayde is the eyes and ears of the Gravesworn. They are tasked with gathering what information they can about the plans of other Covenants and helping the organisation of counter strategies and the aquisition of resources required by Covenanters. Shaydes can complete thier tour of duty by being helpful to other members and providing tips and advice where required or by passing on Eyes of Death. Master of the Annals- A Master of the Annals is tasked with keeping a log of all of the Gravesworns current events and recounting the lore of its members. Masters of the Annals with be responsible for adding to the lore of this Covenant by presenting short paragraphs/ section of writing for others to read. This is for those like myself who enjoy being creative with thier builds and adding lore and variety to the Covenant. Knight Slayer- A title granted to those who have killed thier fair share of troublesome knights who seek to end the reign of Lord Nito. Players who kill members of the Noble Knights, Sunlight Souls, or any non allied covenant will earn Corruption which leads to ending thier tour of duty. Corruption can be earnt by any means. Slayers can challenge enemies, kill them in Fight Club, or meet them in Events to earn enough corruption to rank up. This is simply to add variety to the covenant and encourage active participation from the members. (If this is an unpopular idea I will remove it).